The purpose of collecting such data is to ensure a better service for customers by ensuring an effective countermeasure against Negative SEO tactics. Anyhow, is this really all? How such a new data availability might be exploited? This is the aim of the NITID method: find new business opportunities that might arise from data. 1) Facilitate the process of the reviews for users by updating a list of “pending reviews” to fill once a new bill in a restaurant\hotel has been recorded. In such a way the user, when log in to TripAdvisor’s website, doesn’t need to search for the restaurateur to be reviewed since a pending review connected to the restaurant\hotel is available Furthermore, the number of total reviews will increase since the review process has been simplified for customers. 3) Engage customers by creating synergies with loyalty programs and companies (e.g. : Nectar) and provide gifts to customers who deliver more reviews. 4) Provide statistics and reports that might be useful to restaurateurs and hotel managers: trends, demand forecast, seasonality, sentiment,…. 5) Establish an integrated supply chain by providing further additional services to restaurateurs and hotels. In particular, the demand forecasts should be shared with restaurateurs and hotels’ suppliers by recording all the food\goods consumed by linking them with the receipt. For example, a week in a room requires three units of soap or for cooking a steak in a restaurant are needed 100 grams of meat plus 1 mg of salt and 5 grams of olive oil. By using this data it’s possible to establish a logistic platform that might provide a competitive advantage both for buyer (restaurateurs and hotels) and suppliers. In particular, buyers, and especially small entrepreneurs that cannot invest and maintain complex IT infrastructures, might improve theirs inventory turnovers by having a more granular and detailed consumption of material. Meanwhile, local suppliers might have additional information regarding consumptions and level of inventories of theirs clients and thus enable more frequent on time deliveries and\or with a small amount. Such a solution might be useful for enabling an advanced Demand Driven Supply Chain (DDSC). EBay’s already told us with its “same day delivery” business model where small retailers have became a network of a distribuited inventory (see: “EBay expands same-day delivery in local battle with Amazon“). Why changing and expanding the business model of Tripadvisor beyond core activities? Why to invest in new relations, IT infrastructure, and skills? What about the issue of data privacy? Anyhow, making questions, having doubts and putting barriers are not allowed when brainstorming. Logic will get you from A to B. Imagination will take you everywhere (Albert Einstein). 1) eat a meal in the restaurant (e.g. : “La bella vita”) pay the receipt with a User ID Card (e.g. : loyalty\member card). 3) You go home and since you have enjoyed the delicious spaghetti at “La bella vita” you decide to post a review in Tripadvisor. Since there is a consumption associated to you, your review will be validated and thus not consider as Positive\Negative SEO tactic. 4) The competition around “La bella vita” is challenging and the main competitor, “The Beagle Boys’s Pizza”, pretty tough. “The Beagle Boys” is highly pushing a Negative SEO tactic and they usually attempt to write bad reviews against “La bella Vita”. Unfortunately, since no consumption is pending as “to be reviewed”, the comment in Tripadvisor will be not considers as valid. …but, is that really all about implementing such a business model? I mean, how is possible to fully exploit the investments needed for developing a new IT infrastructure? That is actually what a BigData initiative is: leveraging the data available inside as well as outside the company not only for improving the core business but also for developing new ones. How? By using a N.IT.I.D method: New IT Initiative Development. Acknowledged the role of IT and technology as a catalyst to change business model (see the previous post “Firm Infrastructure Vs Catalyst to Change Business Models: the Double Side of IT“), how to implement new IT innovations in practice? Each innovation implies a changing process and each changing process implies commitment and investments…so, which IT innovations to choose in order to avoid a waste of resources? Are the IT innovations under development in line with the customer needs (actual or potential)? 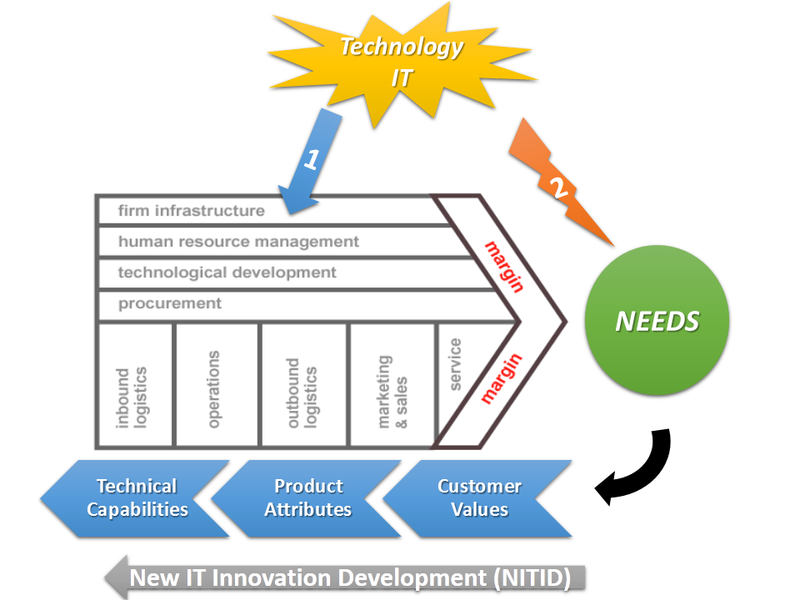 Which are the key competences needed for developing a new IT innovation? Whatever the industry of the company is about, since the focus is customers’ needs, why not thinking how to adapt the NPD (New Product Development) process to IT innovation? The NPD is a structured creativity process focused on introducing new kind of products\services that effectively produces innovations. 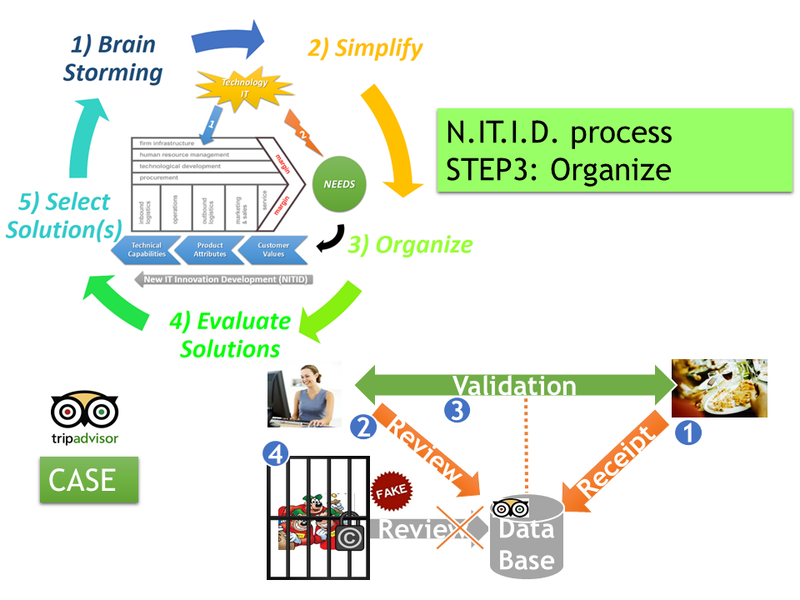 In particular, the NPD process combines lateral (generations of ideas) and vertical thinking (selections of ideas) together and it is divided into four stages: ideas brainstorming, ideas classifications, ideas evaluation and ideas selection. In this stage all the team members engaged simply write down new ideas without any kind of filter or criticism (lateral thinking). Taking as an example the case of TripAdvisor (see “Tripadvisor: a case study to think why bigdata variety matters“) where a validation process of the reviews is in place by recording on a database the receipts of the end-user at the restaurant: which might be the new innovations available by using the data of the receipts? 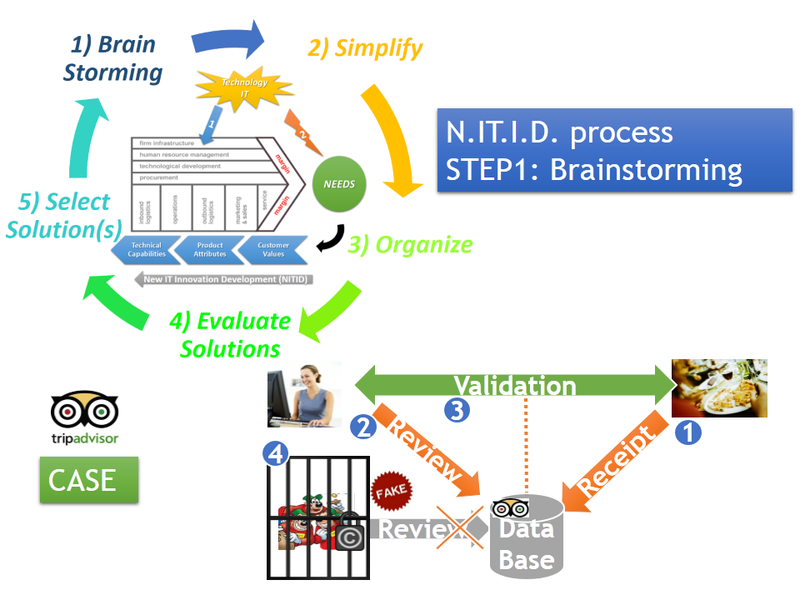 Now, since usually a brainstorming session generate chaos, how to figure out which IT innovations to implement? Like navigating in the middle of a storm, just stay focus on the ongoing issues, do not think to a final solution and keep clam. So a first step is to organized ideas in a structure way in order to figure out a big picture. 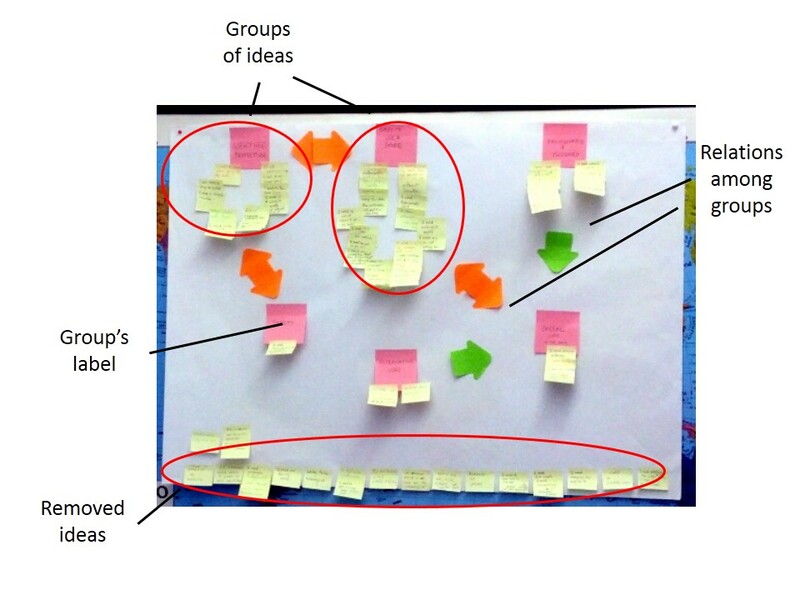 An approach for classifying the brainstormed ideas is the KJ method, where all the initiatives are split into groups by using a criteria. For example, criteria for classifying IT innovations could be: which are the departments\functions involved by the IT innovation? Or\And, which are the stakeholders (customer, suppliers, third parties,…) involved? Then, for each group of ideas, assign a tag that identifies it. For example, suppliers IT innovation, marketing & sales IT innovations, and so on. By putting IT initiatives into rows and the key IT characteristics into columns, the finial result is a matrix called QFD (Quality Function Development). 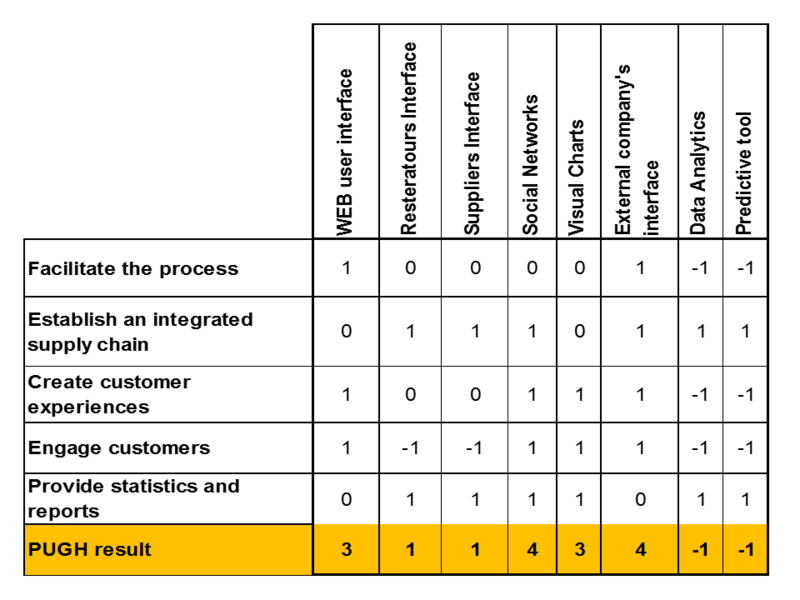 Briefly, the QFD matrix connects the IT initiative with the needed performances. 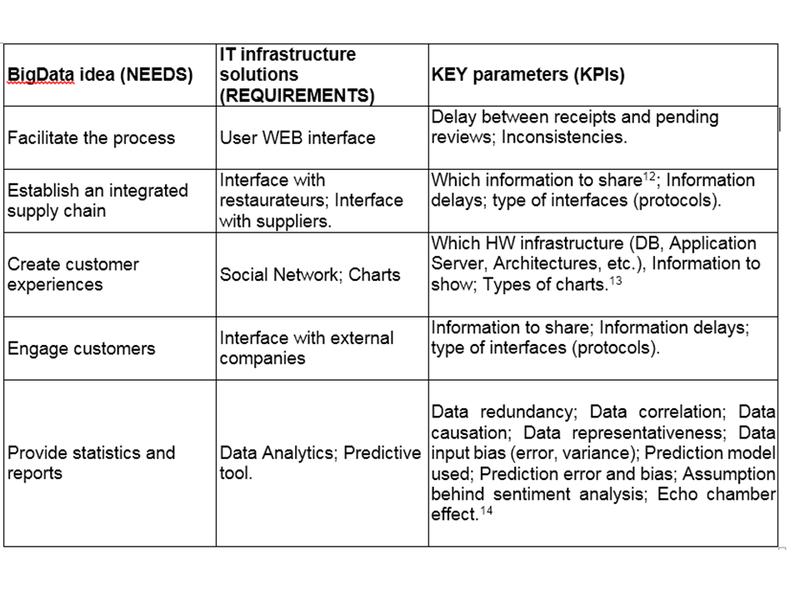 For these reasons, the QFD matrix applied to IT innovations might be useful also for procurement: which are the key competences? Make or Buy? If buy, which IT vendor to choose? Just for a recap. We have organized the ideas, we have identified the key characteristics for each IT initiative… and so? Which IT initiative to implement? 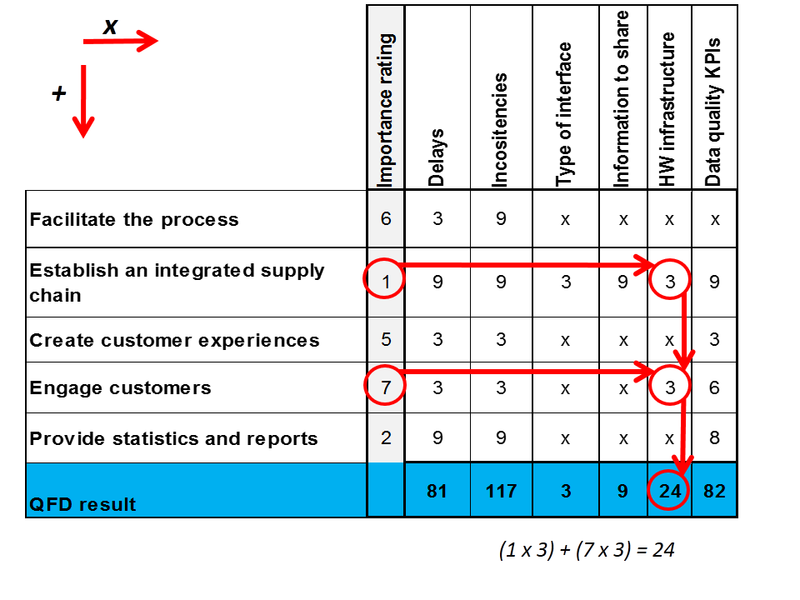 The answer is provided by the so called Pugh Matrix where, for the development of a new product or service, evaluates ideas and solutions according to a gap analysis. In particular, how much the new idea will be valuable for the customer? Will the new idea provide a competitive advantage against competitors? A similar evaluation should be adopted also for IT innovation. Why? Just think about the risks correlated when IT becomes so complex to be maintained and thus a nightmare for customers, employees and suppliers as well. Too much enthusiasm on IT initiatives has a side effect to much IT complexity. How to innovate without adding superfluous IT complexity? What about using NITID (New IT Initiative Development), a revised NPD method widely use for product innovations? Saving IT Expenditures and sourcing Business Intelligence and Analytics tools: which are the KPIs for BigData? The IT expenditures are forecasted to growth due to the business speculation behind the buzz word BigData. Therefore, in order to avoid biased insights, How to measure the quality of the information extracted? How is it possible to get more value from BigData and saving useless expenditures? Are the insights provided by business intelligence, analytics, and prediction tools really reliable? 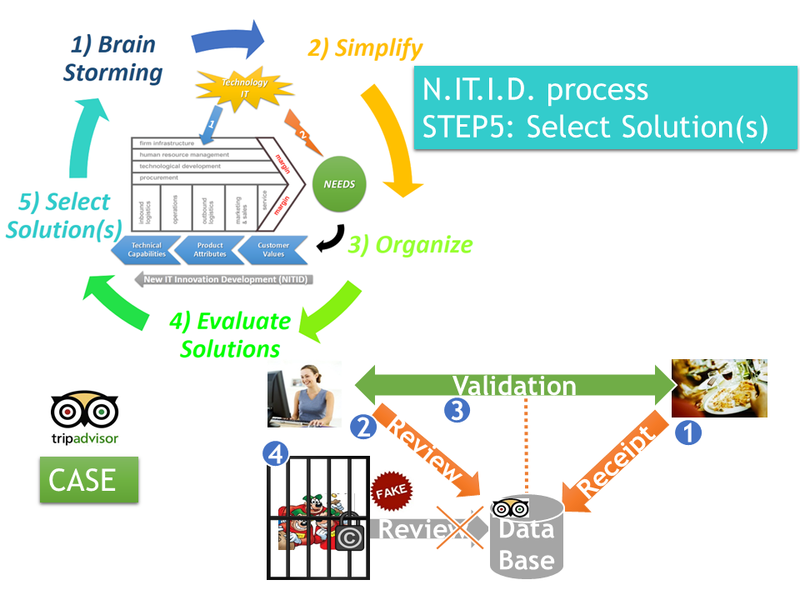 As a matter of fact, insights and predictions are final results of a transformation process (see figure) where the data in input is elaborated by an algorithm. A fantastic and exhaustive explanation about the process behind any business intelligence tool is the pyramid of data science where five stages are identified: 1) data gathering/selection, 2) data cleaning/integration/storage, 3) feature extraction, 4) knowledge extraction and 5) visualization (see The Pyramid of Data Science). Anyhow, as for the production of products such as cars, clothes and a good meal in a restaurant, high quality results are ensured by the quality of the raw materials and the quality of the transformation process as well. Thus, if the raw material for an analytic is the Data, how to assess the quality of the supply, the data? ACID compliance and pessimistic looking already define best practices in order to guarantee the quality of data in terms of data management and thus reduce maintenance cost and improve efficiency. 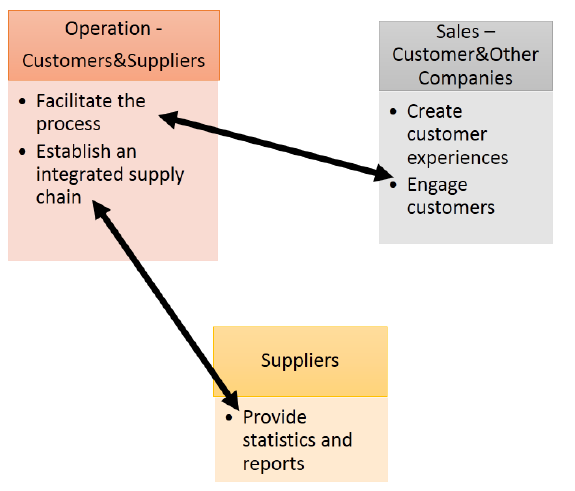 However, from a procurement point of view, how evaluate the quality of the supply within a procurement process for sourcing data? Similarly, how to evaluate the quality of the process that transform the supply (data) into insights and valuable information? Like for the production of products a well-defined procurement process is ensured through well written specifications documents where requirements and key parameters/characteristics are clearly stated. Superfluous to say that a well-defined procurement process will ensure the quality of the supply, and the quality of the supply will ensure the quality of the final product/service. In this case, it will ensure the quality of the insights. 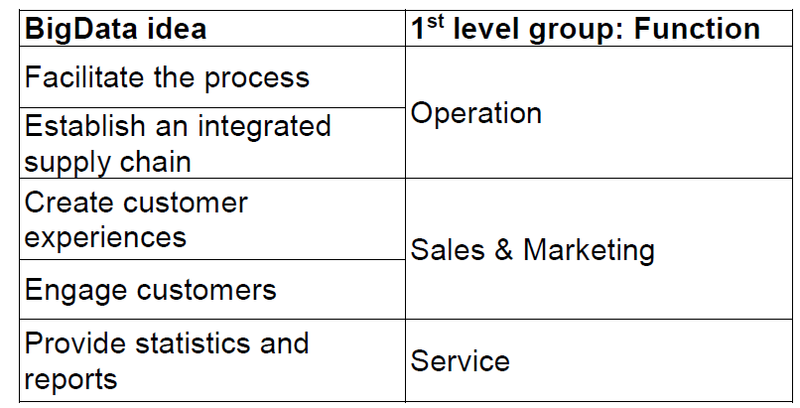 Undoubtedly, the huge amount of data available nowadays and new technologic improvements are generating more business opportunities than in the past both to improve process efficiency and to define new business models (see Firm Infrastructure Vs Catalyst to Change Business Models: the Double Side of IT (Change Management). Thus, clearly define which KPIs to look for and negotiating the aspects that really matters will ensure best IT analytics services in terms of opportunities to exploit, thanks to the insights provided, as well as saving costs. 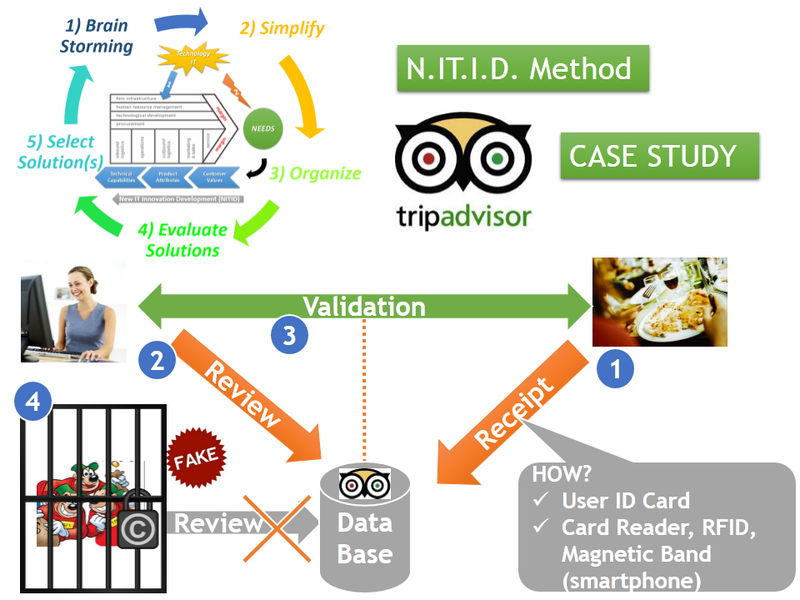 As an example, if are not yet available parameters for evaluating the quality of data and of the analytics as well, I would go to a restaurant where I know the quality of the suppliers instead of looking to reviews and advertisements based on questionable data suppliers: fake TripAdvisor’s users (see Tripadvisor: a case study to think why bigdata variety matters). Beeing aware that ignoring bigdata opportunities means also ignoring a better restaurants, with delicious meal and low prices, Companies that define best a procurement process for data sourcing will enjoy the best meal in a bigdata restaurant. Feelink – Feel and think approach for doing life!